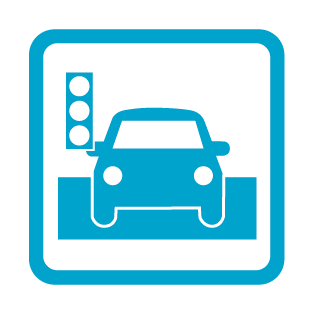 Detailed pedestrian / vehicle interaction modelling at priority controlled crossing points. As part of a wider study commissioned by Nottingham City Council, Multimodal were asked to provide modelling to test and analyse scheme options, as well as 3D videos and images for consultation. The scheme focussed on streetscape improvements to Carrington Street, Canal Street and Middle Hill as part of the planned expansion of the Southern Gateway Improvements in the city centre and will complement the station's recent £60 million upgrade and the new tram stop. Given the emphasis on public realm improvements, it was essential that pedestrian behaviour and interaction was modelled accurately – the area combined high volumes of public transport and very high pedestrian volumes conflicting as they headed into the main shopping area. This meant VisWALK was utilised alongside the developed VISSIM model for more detailed pedestrian modelling and interactions. Using the City Council's own sketch-up model, a series of high quality 3D visualisations were produced, alongside a validated VISSIM model which assessed the proposed changes in traffic movements.